Certified Nurse Assistants play an integral role in the area of long-term care by providing an invaluable service to the senior and disabled population. They care for patients, attending to their vital hygiene and daily living functions. CNA training programs help students develop the skills needed to position and transport patients, measure and record vital signs, monitor patients’ overall health, and maintain a clean and safe living environment for the people they serve. The fast-growing health care industry needs compassion, reliable, and capable individuals to care for incapacitated seniors. According to the Bureau of Labor Statistics, the need for CNAs will not diminish as the population continues to age, increasing the need for long-term care services. 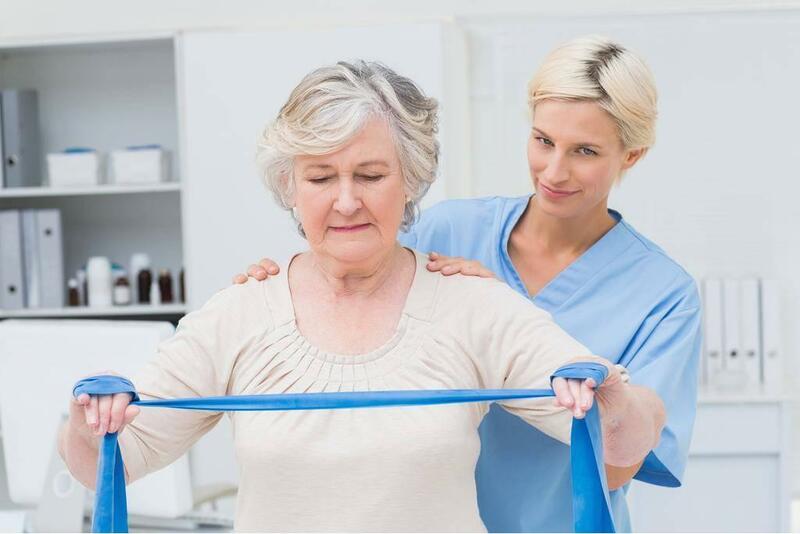 Nurse assistants typically work in rehabilitation facilities, nursing homes, assisted living facilities, and patients’ home, but they may also work in clinics, doctors’ offices and hospitals. 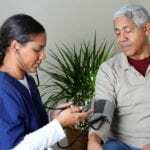 The American Red Cross provides nursing assistant students with the information and skills that will prepare them to provide direct care services to patients in hospitals or residents in nursing homes. The curriculum includes classroom and practical experiences and emphasizes basic nursing skills as well as the five principles of care: communication, dignity, independence, safety, and privacy. Students will also learn hands-on skills, such as bathing, feeding, patient transfers, and bed making. Students who successfully complete the program are eligible to apply for the Massachusetts nurse aide exam to become a Certified Nurse Assistant. The ARC offers students state-of-the-art classrooms, tutoring services, small class sizes, experienced instructors, hands-on training at a local healthcare facility, ARC CPR, First Aid, and AED certification for 2 years, employment assistance, and job skills development. Applicants, 16 years and older, must attend an orientation session and pass the assessment exam, provide evidence of TB clearance, a physical exam with no restrictions to lifting or bending, a current photo ID, and a criminal background check. Students must purchase red scrub bottoms, white scrub top, and white shoes and socks. Tuition is $1,250 and is due in full 7 days prior to the start of class. The Catholic Charities of Boston prepares nursing assistant students for practice with the knowledge of the principles and processes of patient care and personal services. Students learn how to assess patients’ needs, meet the state’s quality standards for service, and evaluate patient satisfaction. The program meets the requirements of the Massachusetts Board of Nursing and includes classroom and clinical instruction to prepare students for the state certification exam. Students learn the fundamentals of nursing, medical terminology, personal care and hygiene, feeding, nutrition, effective communication, the range of motion, body mechanics, patients’ rights and independence, care for Alzheimer’s patients, and end of life care. The curriculum emphasizes safe and compassionate care, and students have the opportunity to demonstrate their skills during a supervised patient care exercise at a local medical facility. Day classes meet for four weeks (4 days a week) from Tuesday through Friday from 9:00 am to 4:00 pm. Evening classes are eight weeks long, meeting from Tuesday through Thursday from 5:30 pm to 9:00 pm. The program includes HHA training as well as NA training. The total cost of $1,000 includes the textbook. MassBay prepares Nurse Assistant students for the Nurse Aide Competency Evaluation, administered by the American Red Cross, in just eight weeks. Graduates of the 127.5-hour certificate program are eligible to take the exam to become a CNA and work in an entry-level position in a long-term care facility. The curriculum is divided into 87.5 lecture hours and 40 clinical hours at a skilled nursing facility. 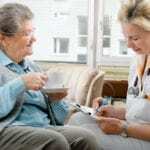 The course emphasizes care for the increasingly diverse senior and disabled population, and includes training in basic nursing skills, measuring and recording vital signs, roles and responsibilities of the nurse assistant, personal care, restorative care, food service, safety, patients’ rights, hygiene and infection control, use of assistive devices, care for seniors, and ethics. MassBay maintains small class sizes to ensure personalized attention. Applicants must attend an orientation session and be at least 18 years with a high school diploma. The school needs to conduct a criminal records check on all students as a requirement for clinical placement. Applicants must also pass a pre-registration exam, meet the technical standards, and submit documentation of immunization, TB clearance, CPR for healthcare providers, and a physical exam. Students must purchase the required textbooks, attend 100 percent of the classes and clinical sessions, and pass all course tests and quizzes. The course fee of $950 is due at the time of registration. Additional costs include uniform patch and name tag, stethoscope, textbook, watch, and CPR. JVS not only gives nursing assistant students the skills required to care for the elderly but also provides opportunities to improve their English and computing skills. The 14-week program is designed specifically for non-native, intermediate level English speakers and is available as a full-time class only. Graduates are prepared to pass the Certified Nursing Assistant certification exam and will receive job placement assistant at the conclusion of the program. Applicants must attend a mandatory orientation before enrollment. Orientation sessions are available on a walk-in basis. Throughout the didactic and hands-on skills training, students will learn the proper way to move patients, the basics of personal care, measuring and recording vital signs, feeding and bathing patients, the safe way to transfer patients, and patients’ rights. Courses in medical terminology, infection control, nursing principles, mental health concepts, and end of life care will set the foundation for future study. Classes meet from 9:00 am to 4:15 pm Monday through Friday. JVS facilitates the program in partnership with the American Red Cross. Students spend the first 10 weeks at JVS, the next 3 weeks at the American Red Cross in Cambridge, and the final week at a clinical site.